Design by spanish artist Andi "StillAKid" Rensen Aguion created for Before and After Science's album "Relics & Cycles". It represents the reborn stag, symbol of the cycles of life. Printed on a Gildan Heavy-Cotton shirt. 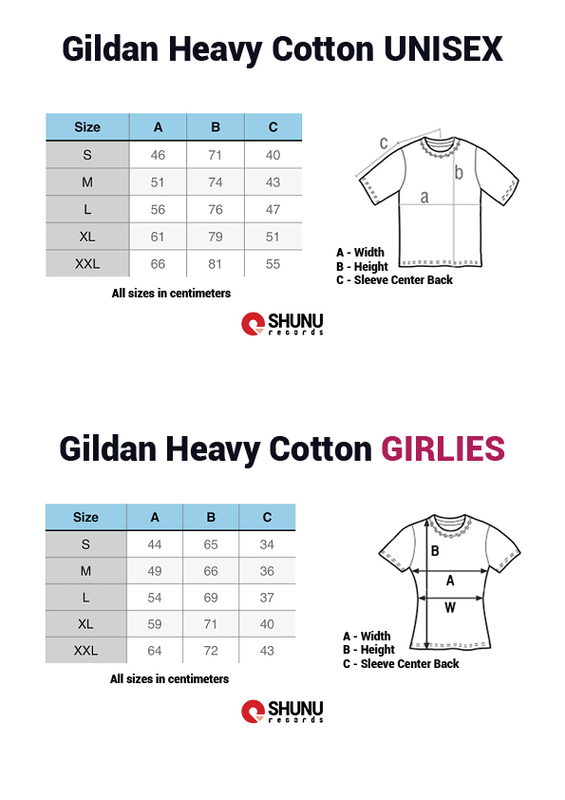 The Heavy-Cotton shirts feature a premium textile which is soft and resistant at the same time, also pre-shrinked so the t-shirt won't shrink in the washing machine. The design is printed with water-based ink, to ensure the print is soft on the touch and leaves the skin to breathe and prevents sweaty spots.